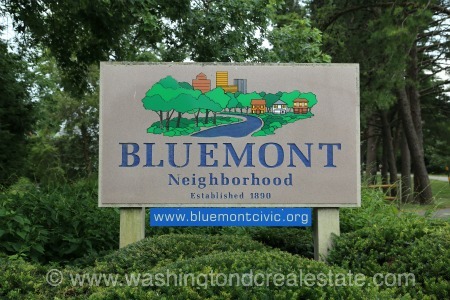 Bluemont is a family-friendly community of approximately 2000 households across 580 acres in west Arlington County near Washington, DC. Residents cite the neighborhood’s small-town charm combined with a host of amenities, including historic sites, skate parks, acclaimed schools, gardens, and a university campus. Housing stock includes a mix of single-family detached homes as well as newer townhomes flanked by a wetlands refuge and number of parks and other public spaces. In contrast to neighboring Ballston, 90% of Bluemont’s land is devoted to low-density residential development and parks with the remaining 10 percent devoted to commercial. The area is studying other mixed use communities to potentially expand the commercial district.